I love bringing the sweet subtleties of pumpkin into my cooking in the fall. 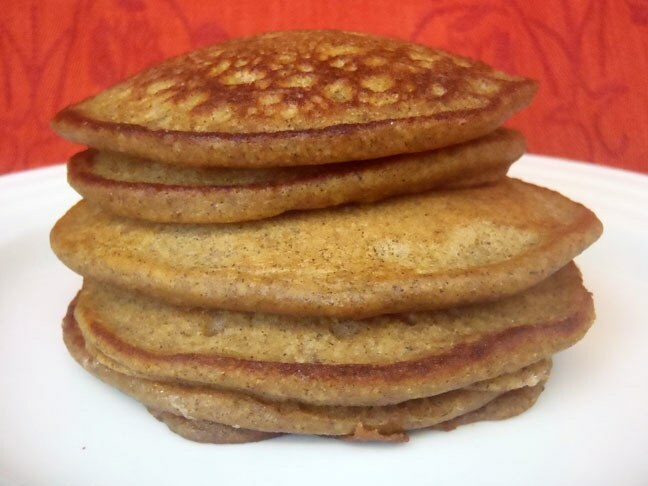 The pumpkin flavor goes so nicely with the buckwheat and a touch of maple syrup! My gluten-free six-year old son loves these! And I love that! In a large mixing bowl, combine all of the dry ingredients and set aside. In another mixing bowl, mix the yogurt, milk, pumpkin, syrup, eggs, and vanilla. 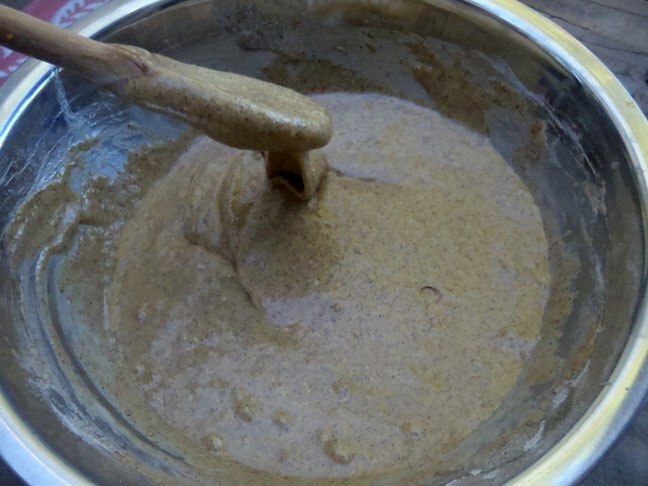 Fold the liquid ingredients into the dry ingredients until evenly combined. Gently fold in all but about half a tablespoon of the melted butter. Preheat a saute pan over medium heat with a bit of the remaining butter. Turn the heat to low and use a quarter cup measure to pour three to four ladles full into the pan with ample space between them. Cook the pancakes for approximately two minutes per side or until they start to brown along the edges. Use a bit more of the butter each time you add batter to the pan. As the pancakes are finished, place them on a plate and cover with foil until you’re ready to serve. I usually call for low-fat milk in my recipes, but you can also use non-fat or whole milk. And I typically have non-fat plain yogurt on hand, but low-fat or whole is fine, too. These pancakes are already quite sweet, but everyone loves having a pitcher of syrup on the table!